Im not much of a trophy hunter. In fact my biggest motivation for opening up my gun safe each year is culinary. However, to complete the cycle and to honour my first deer I felt compelled to mount the horns. This process has been taking me a while to complete, and still isn’t finished. But, with the help of my father in law and his vast array of tools I am one step closer to a finished product. Its important to remember the milestones in your life, and harvesting my first deer was definitely an important one for me. 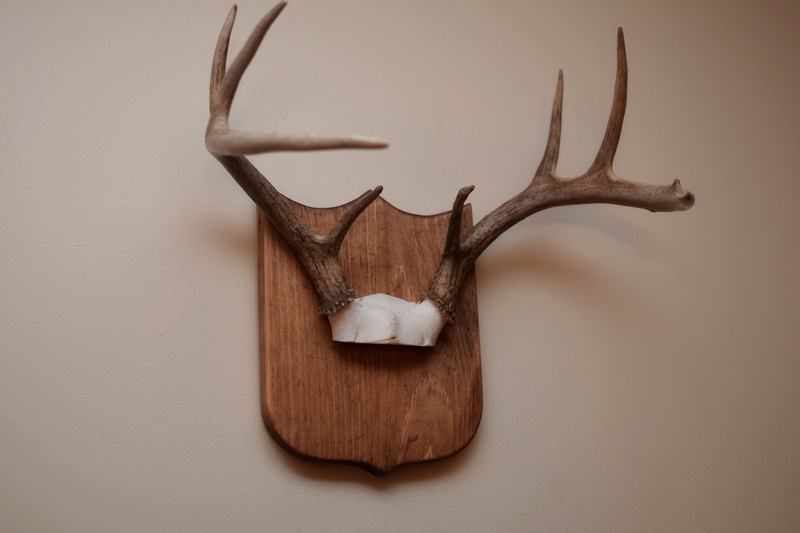 This entry was posted in Hunting and tagged antler mount, trophy deer hunting. Bookmark the permalink. There is a lot of pressure in some circles to avoid being labeled a trophy hunter….it’s ok to both hunt for food and appreciate the beauty of the animal. Your first deer is always a trophy and something is wrong with not enjoying the beauty in the animals we chase.